Terry Cove House for sale in Orange Beach AL. The resort property with 2,222+/- sq. ft. is perfect for entertaining, with a spacious kitchen that opens into the living areas, all leading out to the relaxing back porch. The 3 BR’s in this residence are secluded, providing privacy when resting. Some features of this home are quartz counter-tops, stainless steel kitchen appliances & vent hood, wine cooler, wood floors, ship-lap accented fireplace, built-in storage with shelving, custom fixtures, spacious mast. BR with walk-in closet and more. The exterior cladding is cement board, metal roof, circular drive, and parking and storage underneath. 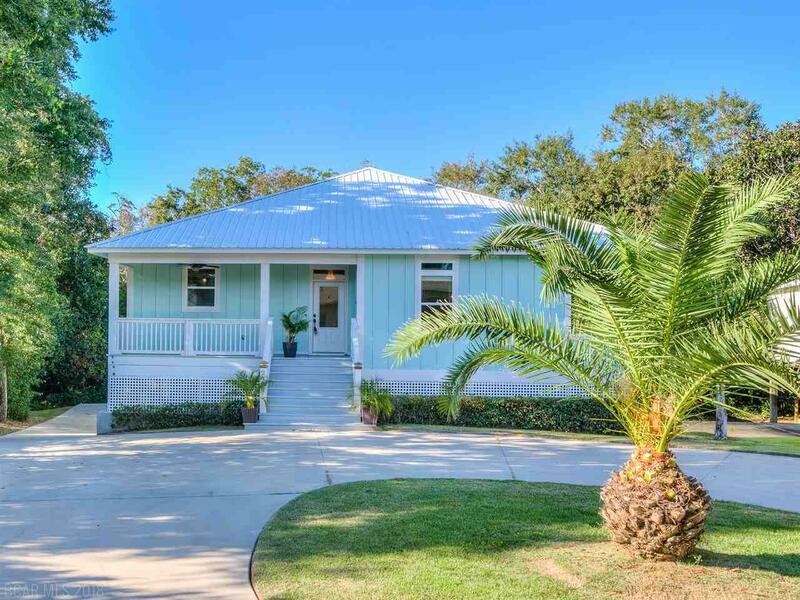 Terry Cove Harbor is a popular community a boat launch, boat trailer storage, swimming pool, tennis and basketball courts – all just a short distance to the beautiful sugar-white beaches of the Gulf of Mexico, public parks & trails. Come see this special home, it could be just what you’ve been looking for!